The antenna outside was stubborn, a daunting challenge for young children who probably weighed 75 pounds soaking wet. Getting it to twist one inch to the right or left could open up at least two additional channels for us. We had just two: PBS and NBC, and we pulled the national network only because the local station was literally down the street. Thank goodness for that stubborn antenna, which was rather loosely tethered to the house with wires from clothing hangers. Because that stubborn antenna wouldn’t turn, I was introduced to this incredible new network (1970 in Mississippi) called PBS and its lineup of educational shows. There was Sesame Street, the Electric Company, and Mister Rogers’ Neighborhood. I learned to love Julia Child’s French accent and her passion for preparing the perfect recipe. Later, PBS ignited the news bug in me with such shows as Firing Line, The MacNeil/Lehrer Report, and today’s personal favorite, Frontline. PBS shows took me on trips around the world, gave me a love for reading, and exposed me to national and international cultural events that my grade-school-educated parents didn’t have in their parental arsenal. They were hard-working people whose singular focus was putting food on the table for nine children. But they kept books in the house, discipline at the forefront, and PBS on the television. As I sit in the executive director’s office of a PBS station today, I have to wonder if I’ve not yet awakened from a dream. How could it be a reality for a kid who came from such limited means? I give PBS credit for bringing the world to my doorsteps and for introducing me through smart programs to people, places and things that once seemed foreign and very much off limits. But the beauty of it all is that it isn’t off limits and never was. The PBS of my youth has only grown stronger as it has matured, as I have, into adulthood. While former cable networks started with educational programming, many of them left that mission to go for salacious content that brings about advertising. That’s why over the years we’ve seen such drivel as Naked and Afraid, Honey Boo Boo, Moonshiners, and lifestyles of just about any combination of people who are guaranteed to start a brawl and take us down a dark alley of morality. But PBS has been the constant source of educational television, which has now expanded aggressively into the booming digital space and over many different platforms. The network is the 6th-ranked network in America. In a given year, 291 million Americans watch PBS programming for the very same reason as I did growing up. Each time you watch, you learn. Nearly 80 percent of the kids in America ages 2-8 watch children’s programming on PBS. Interactive downloads for parents and children number into the millions. Some of you have read about a proposal in the state legislature to eliminate funding for Mississippi Public Broadcasting beginning in 2024. MPB receives $6.1 million from the state—about 57 percent of our total budget. MPB cannot and would not exist without state support. PBS and MPB have long held as part of our mission to create a space where the underserved have just as much right to information as those with means. It is a non-commercial network, with tight FCC restrictions that prevent us from selling traditional advertising like our friends in the commercial, for-profit, television world. There is a larger issue here from my perspective when funding discussions are debated. It’s the issue of impact. MPB reaches tens of thousands of school children and their parents each year with programs ranging from school readiness to literacy to support for classroom teachers. MPB is a lifeline for nearly 7,000 sight-impaired people—through our Radio Reading Service program—who rely on a small army of MPB volunteers to read everything from books to magazines to newspapers. During times of disaster, MPB uses the power of its technology to speak to an entire state at once, working closely with our friends at the Mississippi Emergency Management Agency. We are one of only about 20 stations in America with a statewide reach, enabling us to connect Mississippians from one end of the state to the other. MPB broadcasts 20 hours of local programming on radio each week, including Southern Remedy, a health show that uses University of Mississippi Medical Center physicians to answer questions from residents. This is an example of public service at its best. 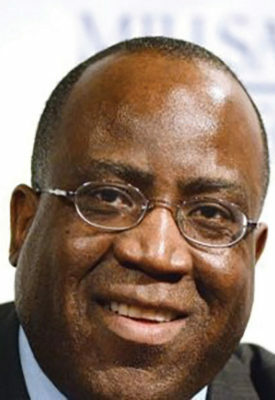 Ronnie Agnew is executive director of Mississippi Public Broadcasting and former executive editor of The Clarion-Ledger. His first job after college was as a reporter at The Greenwood Commonwealth. He currently sits on the PBS National Board of Directors and is board chairman of America’s Public Television Stations, the national advocacy group for the public media system.